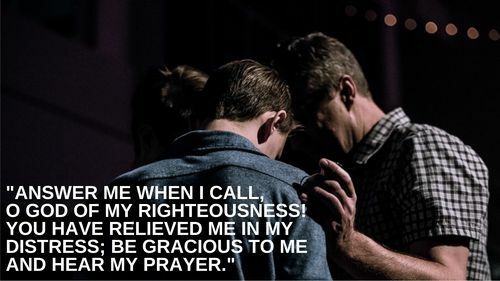 Prayer is a vital part of our church. It is our essential communication with God, a never-ending conversation with our Heavenly Father, modeled for us by our Lord and Savior Jesus Christ. If you have a personal relationship with God, you're already in our prayer ministry. Join us on the last Tuesday of every month at 7:00pm in the Youth Room as we come together for a night of prayer. Emails are sent through the prayer chain to share urgent prayer requests from our church family. Click here to subscribe to The Prayer Chain, or click here to submit a prayer request through our secure form. We would be honored to pray for you or someone you know. Our team prays on a regular basis for all the prayer requests we receive. Please note that all prayer requests will be processed by our staff and may be edited before sending to protect a person's privacy. Do you want us to publish your request in our Prayer Chain?